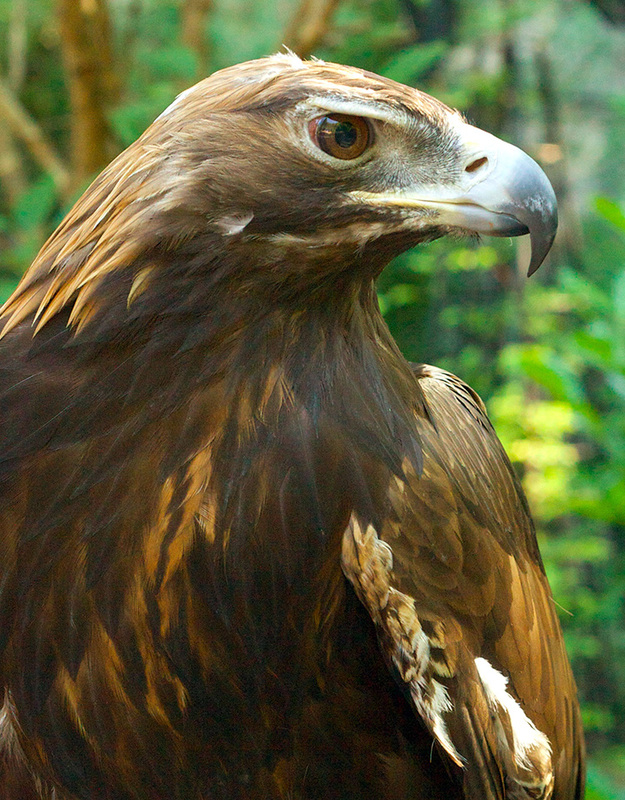 The Golden Eagle gets its name from the beautiful golden-colored feathers found on the back of its head and neck. They are the most common type of eagle found on every continent in the northern hemisphere. A strong and powerful flyer, they delight in soaring through gale force winds and have been known to climb thermal updrafts up to four miles high. 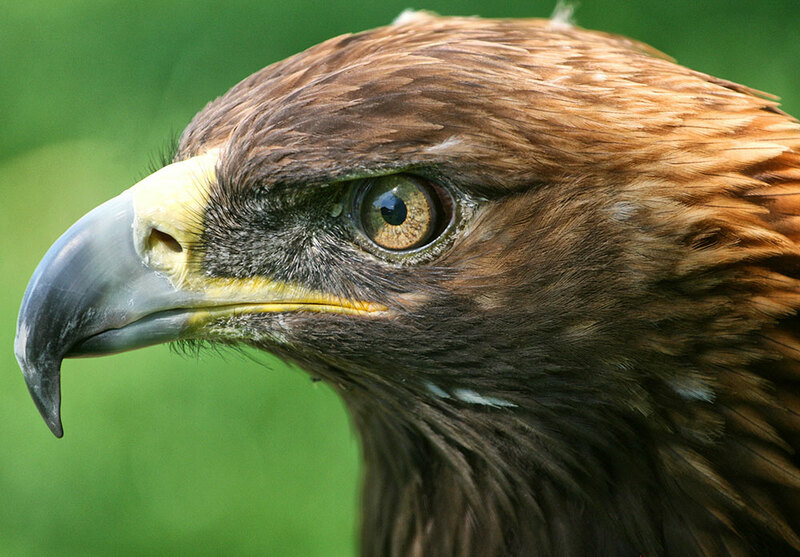 Golden Eagles are cunning, intelligent, and bold, diving in from the sun to blind their prey and using stealth-like tactics to cut off its means of escape—they are fierce and strong hunters. They have an unbelievable 1200 pounds of crushing power per square inch in each foot!